The Blacker the Water, the Better it is? That is exactly how my face was when I saw BLK. water at this year's V show. I was beyond puzzled! FUN FACT: I am a water addict!! Yes, I have a problem. I drink about 2 litres of water a day, because I love!! I can't go to bed without drinking a glass of water or talking a gulp from the bottle next to my bed. Yes I have a bottle next to my bed for emergencies!! Now I know you want to know. Rachy why is the water BLACK? What is wrong with it? I had the same thoughts..
Well.. nothing.. it's actually naturally black! BLK. 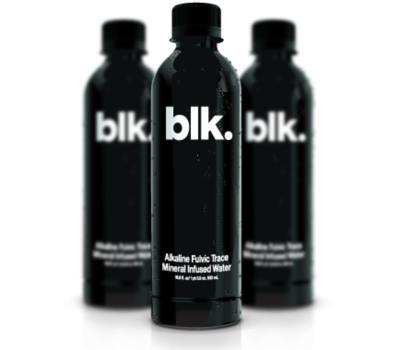 (Pronounced bee.l.kay) is alkaline fulvic mineral infused water. 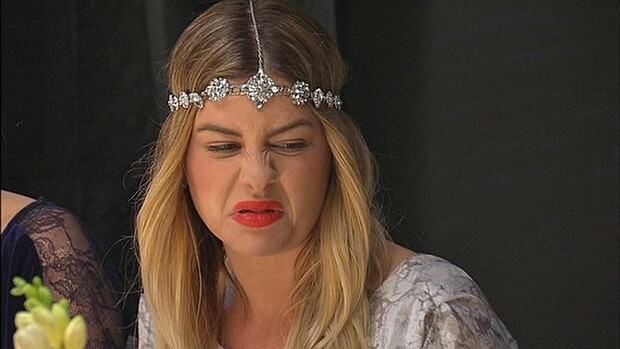 "What the heck is fulvic water?" So how is different to ordinary bottled water? Alkaline water helps balance the pH of our bodies,as alot of the foods we eat are acidic. Acid foods lead to illness and disease. 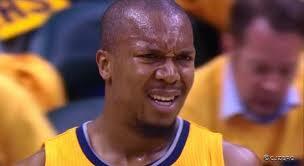 When you drink ordinary water you retain 10% of the salt. Blk. has no sodium. It is also calorie free. Contains electrolytes which reduces cravings for sugars. Like water.... it doesn't have a different taste. You are not drinking dirty water! 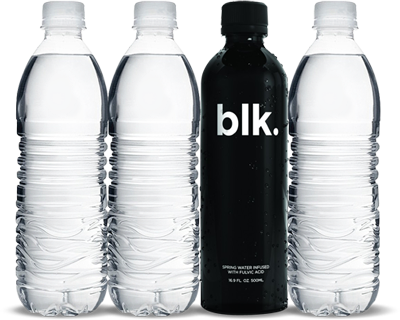 Did I notice a difference from drinking blk.water? At first I was thinking, erm this isn't no different to the water I drink....BUT as I got to my 10th bottle...I noticed my skin was improving!! Water is great for clear skin and hair moisture. I did feel more refreshed and awake from drinking it. well you are missing out...you know what they say... once you go black..you never go back. 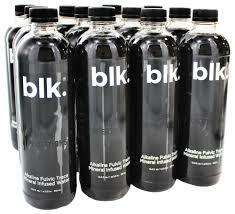 Have you tried blk. Water?